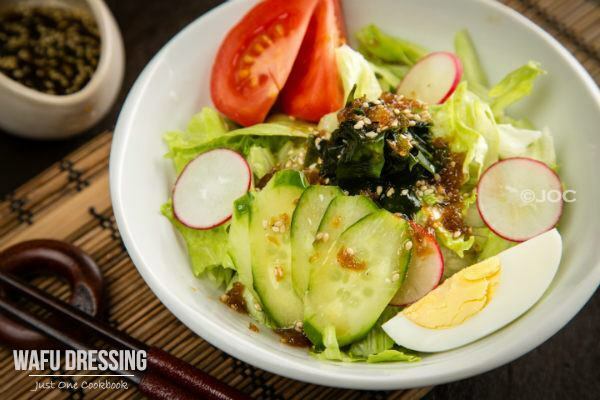 Wafu Dressing refers to a salad dressing that consists of soy sauce, rice vinegar, and vegetable oil. Every household has slightly different recipe and this is my version with grated onion to make it extra flavorful. 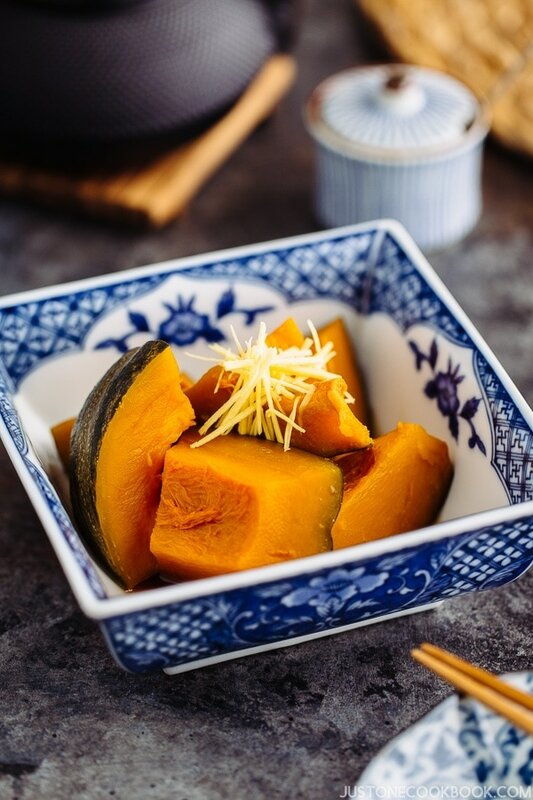 On a side note, if you replace half of the vegetable oil with sesame oil, we call it Chuka (中華) Dressing, meaning Chinese-style dressing in the Japanese culinary world. 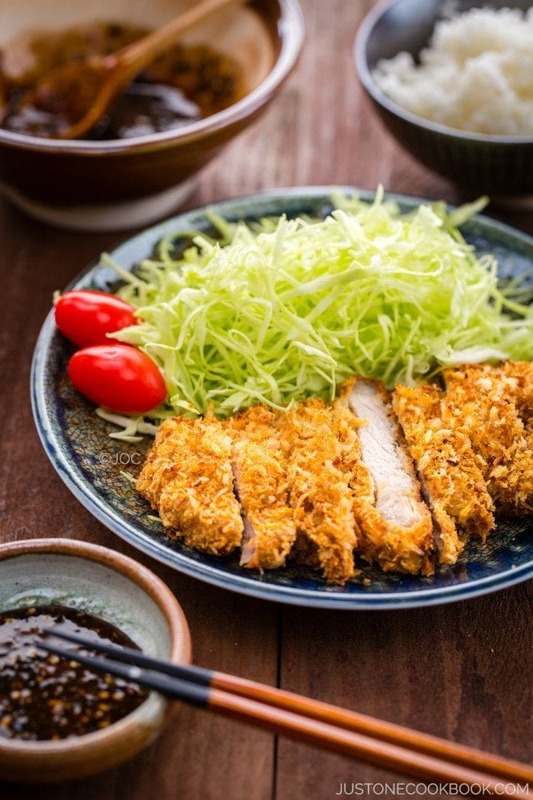 It’s kind of funny to me that the Japanese has a “Chinese” dressing since I know from my Taiwanese husband that salad exists in the Chinese food culture but it’s not common. 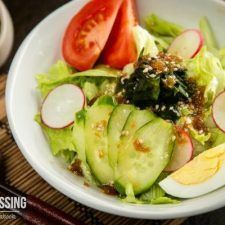 There are so many kinds of Wafu Dressing choices available in Japanese supermarkets, but homemade dressing has no MSG and preservatives and the best part is you can adjust the flavor as you wish. 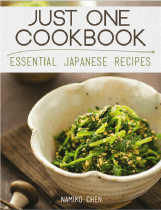 The ingredients are very typical for Japanese cooking so I hope you will give this a try. Before you check the recipe, I’d like to share My Three Favorites. Erin of Dinners, Dishes, and Desserts tagged me in a game called “My Three Favorites”. 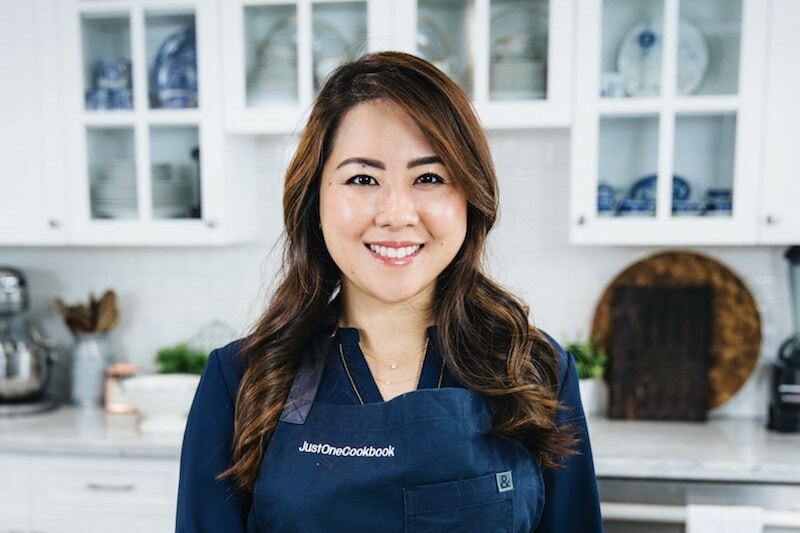 If you are not familiar with her blog, I hope you visit her blog to see what she’s been cooking and baking! I don’t make dessert often and you might be craving for it so check out her delicious sweet desserts and savory food! The rule of this game is to pick 3 of your favorite dishes and share them again. Then you tag 5 other bloggers to play along! So let’s begin. This is my most favorite food (among my mom’s recipes)! My favorite of all time! Japanese pancake/pizza. One of my favorite desserts I enjoy making. And here are the bloggers that I tag! This time I picked food bloggers who actually took their time to give me some photography tips and taught me some valuable skills along the way since I started blogging. I would like to thank you for your generosity and kindness. Without you, my food photography wouldn’t be the same. Thank you very much. There are 4 bloggers who helped me and they are listed in alphabetical order. Simple and delicious home made wafu dressing, soy sauce base with rice vinegar, roasted sesame seeds, and grated onion to make it extra flavorful. Combine all the ingredients in a bowl and whisk everything together. 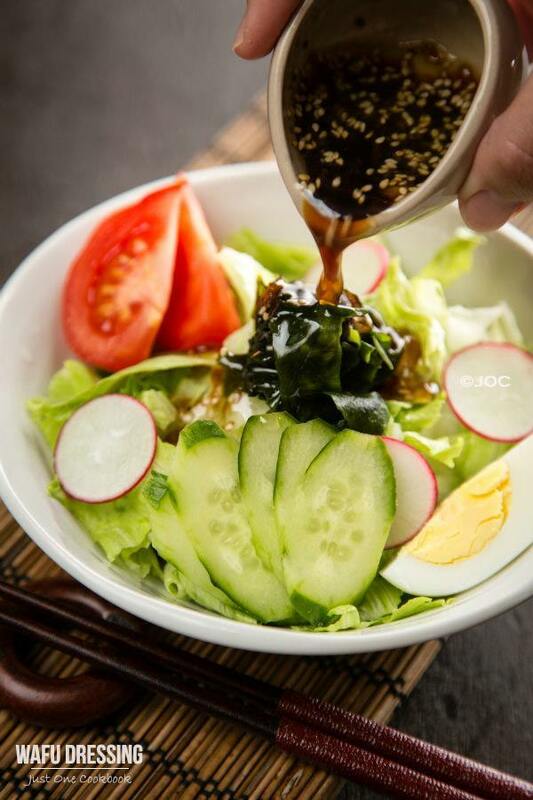 Drizzle on top of a simple salad of iceberg lettuce topped with tomatoes, boiled egg, wakame, cucumber and red radish. The dressing can be kept in the refrigerator for 1-2 weeks. Update: Photos are updated in November 2013. Such a simple dressing and yet makes such a healthy salad. I love japanese salad dressing. Its so light and refreshing. None of the cloyingly fattening mayo-based stuff. Your dressing is awesome! And I love love love your pictures, so bright and neat! Sounds delicious! Is it the same kind of dressing used in cabbage salad? Fern, I’m not familiar with dressing used in “cabbage salad”. Is the salad commonly served in a Japanese restaurant in Sydney? This is the kind of dressing I like – light and refreshing. I liked your little japanese lesson. =) always usefull! Wafu salad dressing is new to me, I ll try that 2morrow. 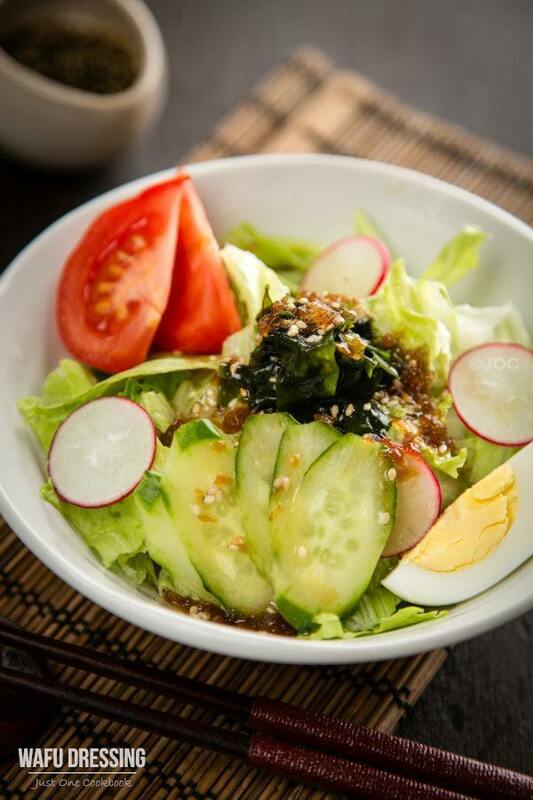 What main dish would fit nicely to your japanese style dressing? Have a great weekend, it’s beautiful today at Houston, actually a bit chilly in the morning, could this mean fall is finally here? I desperately want to eat salad whenever I visit Taiwan… 🙂 Oh no really? Now you scare me to eat pho… but maybe that’s okay since we put in hot noodle soup? We go eat pho a lot… I always want to try 7 course dish in a Vietnamese restaurant but haven’t had a chance (and even forgot about it). You reminded me and I should carefully pick a good restaurant. It’s beautiful day here as well. 🙂 Have a great weekend! Your salad look very very delicious..I love this idea, arrangement’s of the salad and I did make it several time, but never with your delicious dressing..I will make it this weekend. Thank you so much for tagging, and mentioning me, you are so sweet!!!! I have wanted this one. Thanks!!!!!! Love the zing the grated onion adds to this dressing. This is so much better than bottled ones. I also love your 3 favorites and you know I’m all over #3! Nami-san, that you so much for sharing wafu dressing. I always loved that it enhanced the salad ingredients instead of covering them, as so many heavy American-fu (!) dressings do. 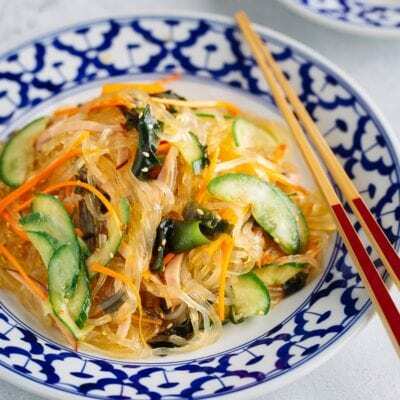 Have you ever made it with grated ginger? With winter rolling in, ginger would be a good way to sneak its healing powers in without anyone really knowing it. Oh yes, sesame seeds, ginger, plums, yuzu kosho, shiso leaves… all optional! Maybe I should have mentioned that…thanks for pointing it out! I’ve tried to replicate the Japanese salad dressing before without much success. Your recipe is a great find! I’m saving it and am going to try it out! That is so interesting. Now I am going to start paying attention to the variation between the Japanese and Chinese dressing. I’ve always loved this. It’s light and flavorful! And gorgeous photos!! Nami, this looks exactly like the salad sauce I have been making since I discovered Japanese cuisine, but I didn’t know it was typically Japanese (I thought it was my invention 😉 ). The only ingredient that is stunning here is the grated onion. I can only imagine it changes completely this dressing! I never put any seaweed in my salads, but it looks delicious! I also adore korokke (since I made yours beef and carrot one), I have even bought some beef especially for korokke this weekend. Hopefully one day my korokke will look as cute as yours. 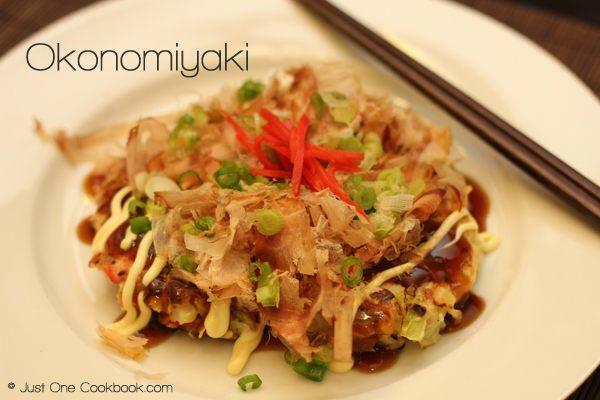 I have never had okonomiyaki, but have been meaning to prepare it for ages! You must have really got precious photography advice because your photos are extraordinary! I always admire you for trying out ingredients to make something new. Once you add grated onion, it makes it…how do I say… not “creamy” but it adds very nice texture to it. Sorry I don’t know how to express it in English. But try adding it even little bit and sugar is optional, but I need sugar to balance out. You are making Korokke this weekend? I wish Switzerland is near. I’ll be at your door step by smelling Korokke. Nami, thank you for the mention and your appreciation! I am really glad to have given you some my humble pointers but even without it, you have a natural talent in food photography! I am looking at that bowl of salad and that wows me because of your ability to combine and compliment the colors! Thanks again, Nami! I may need to borrow your sauce! I love coming here because every time I come here I always see new tasty recipes which sound easy to make..:-) ! I’ve been meaning to make your sesame salad dressing, but I only have black sesame seeds available. Will this work out too? the salad looks refreshingly delicious. Love the light colors it has. great pic, I think this is one of the best salad I’ve ever seen. I enjoyed the Japanese lesson, never knew what wagyu meant until now! I also recently made your sesame dressing, and it was so easy. Nami, I really appreciate the Japanese lesson 🙂 I have a LOT to learn! Your dressing sounds delicious….and your salad is another beauty! 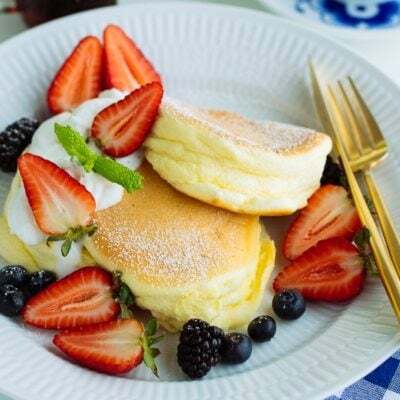 And thanks for sharing your 3 favorites…your dessert is gorgeous…and I’d love to sample your croquettes and pancakes, too. Have a wonderful weekend! Nami, I have always wanted to try the wafu dressing but old habits die hard. Whenever I make a salad, I went and make my usual vinaigrette, mustard honey or the usual simple olive oil and balsamic dressings. Your salad look refreshing and I can how satsifying it will be with the wafu dressing. Can’t wait to make this salad. You picked 3 lovely favorites of yours. Oh, this dressing is AMAZING! I love it! I would eat this on salads all the time! Your three picks are lovely, too! Nami – Can a salad be any prettier than this? Great photo! I also love this simple dressing, and I can tell from the ingredients that I will love it. I am going to try it soon. The dressing sounds really nice! On the note of non-existent dishes. 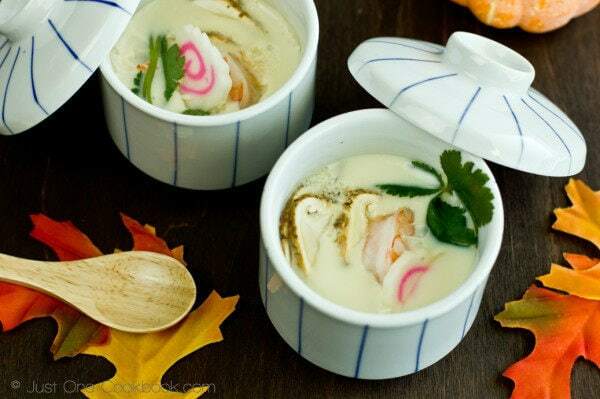 We have Russian dumplings and Brittany beans as some of the most popular dishes in Polish cuisine. Not sure anyone in Russia or France has heard of them though… but it makes the food sound more exotic! Nami, you now have given a name to a salad dressing that I’ve been making for years and having no idea that it was any type of traditional dressing – Chuka. However, the oils I use are sesame and a little peanut oil with the soy sauce and rice vinegar. I absolutely love it! So that means that your Wafu Dressing will probably become a staple in this house! Why pay money for ready-made dressings when you can serve one like this? Thanks for the lesson, i learnt some time today..your husband is right, Chinese people seldom serve salad in a meal, usually we like to stir fry. Anyway, I prefer vegetables to serve raw now, Thanks for this simple Wafu dressing. It has been a long time since I heard the word washoku (and Yoshoku, came immediately to mind) I forgot about them, good to read you and be reminded of these things! Ciao and have a good Weekend! This is one of my fave Japanese dressing because of its tangy taste apart from the mayo dressing for salads. We used to go to a local Japanese restaurant that serves Wafu steak and they also use this dressing for the steak. 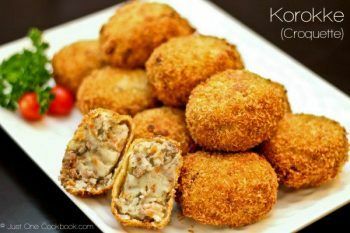 I have got to try that korokke! I have never had or seen one but it looks amazing! And this salad dressing sounds like it would be the perfect starter for my awesome Japanese throwdown meal! 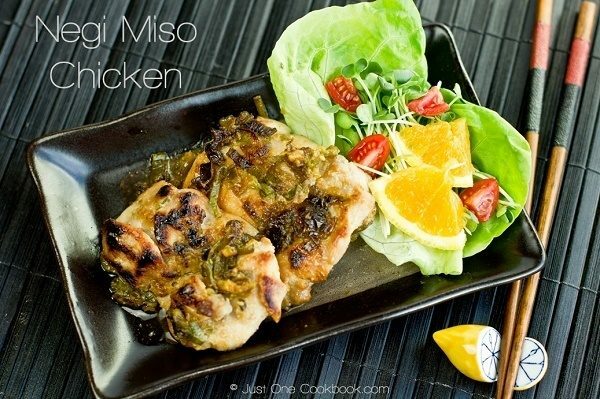 Adored the wee lesson on Japanese and would much rather have your homemade version of this dressing. Wafu – must remember that one! Nami I’ve gotta try this dressing & I’m glad that all the ingredients are available in my store cupboard. See, I usually have challenges finding Asian ingredients at the stores in Doha. And oh your favorite recipes look totally scrumptious! Thank you for this Nami! I’ve tried to replicate this recipe several times with limited success. I think this one is definitely a winner! Flavours sound really interesting Nami! Love the addition of grated onion in it! I simply LOVE the photos! Those few springs on cilantro look soooo pretty! How do you do it? You make a simple salad look like a star! I would love to give your dressing a try. And I will have to check out 2 of your 3 favorite dishes, since I’ve already seen your croquet recipe. Ps: have you made more changes on your blog? The layout look different. PS: I love all of your three favorite dishes! That dressing looks wonderful and oh gosh, that sweet potato pie! There are no words!!! Sounds like an Asian style vinaigrette, love this in leafy salads. BTW Ray gave me also a lot of tips in photography and it was you why I was introduced to him. I’m really happy to hear you got to meet Ray. 🙂 Both of you are a great Filipino cook and I’m happy to know you two! I adore this kind of simple dressing. As a person who wasn’t grown up with much dairy products, I’m not a big fan of creamy dressing. HI Nami! I haven’t been around for a while! Ahhh soo busy. I love the changes to your site and the photos of the salad are beautiful! I am definitely going to try this one. I always make my own dressing, but I never make wafu style dressing. Shameful! This looks so delicious and gorgeous! 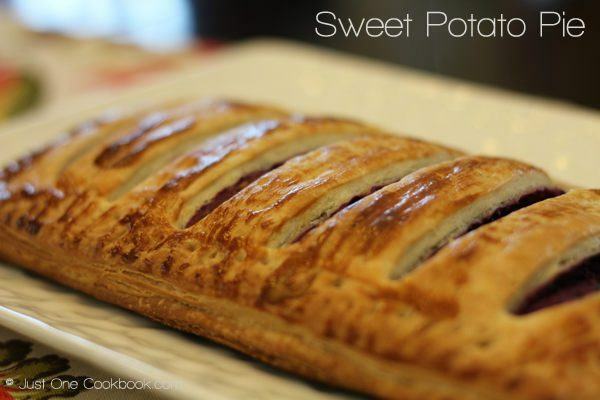 The sweet potato pie reminds me of a combination of my mother’s and the apple pies from fast food restaurants. ^^ Nothing better than homemade, though. Nami this is just wonderful. God your pictures are amazing!!!!!!!! I love your table wear girl. I love those three posts, the sweet potato pie is awesome and I had missed it! Love onions, thank you for sharing this dressing recipe. It’s easy to make and sounds delicious! I buy a salad dressing here and it is called Wafu, I always thought it was the brand’s name. They sell it in a creamy color…maybe a different version. Well it is my go to salad dressing for any salad…I adore it. Fun I can try it at home now. 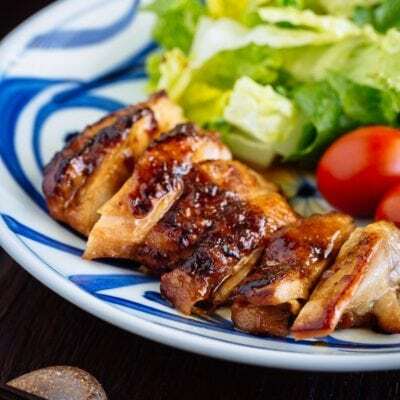 i have wanted it japanese salad dressing recipes ,, looking nice your salad and thank your nami your salad dressing .i always looking your post . Correction, there are actually salads & raw vegetables in Northern Chinese cuisine. Really? Do you mind let us know what they are? We have never seen Chinese salad before (I’m not talking about salad served like Western style). What kind of salad and is it served with some sort of dressing? Love the recipe, thanks so much! Am going to try it this weekend, as I have a hankering for salads like this. Happy to share 🙂 Thanks for sharing your cooking knowledge with us! Hi William! I’m glad to hear the dressing worked out after adding sugar. 🙂 Thank you so much for trying this recipe and giving me feedback! 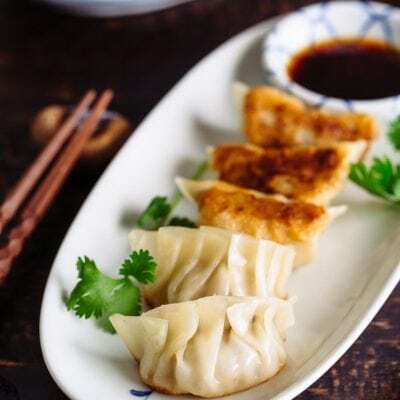 nami, what’s the difference between mirin and rice vinegar? The addition of sesame seeds sounds wonderful! in ur recipe there is already roasted white sesame, but i grind it also. LOL! Oops… you can tell I make many variations with or without sesame seeds etc… 😀 Thanks! Oh and, I think I’m not meant to, but I added some grated leftover daikon to the mix, it’s so yummmm…..
Hi Nami…My friend and I tried this recipe last week. We changed vegetable oil with olive oil and rice vinegar with apple cider vinegar. 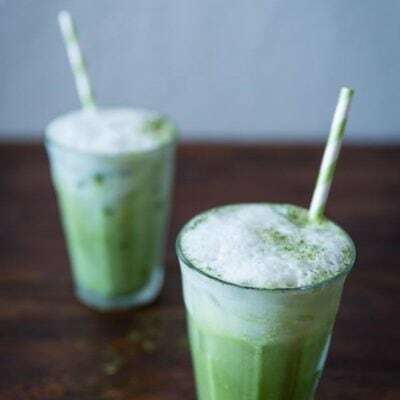 My friend said it taste okay first after she combined all except onion, although the taste was different with she had tasted in japanese restaurant before. But after we put onion in, it tasted bitter. Why my onion taste bitter? My friend said maybe the onion not ripe yet, but i am not so sure. Because today is the last day of the year, I wish you will have a good new year ( よいお年をお迎えください). 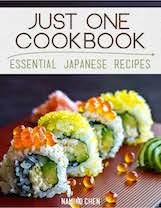 Most Japanese dressing uses no fragrance light oil and olive oil might be too heavy. Also apple cider is a bit too strong for this type of dressing. I think the right kind of oil and vinegar is very important for Japanese style dressing. As for the onion, you can soak in cold water to remove the bitterness (for maybe 10 minutes), then squeeze the water out to add into the dressing if bitterness is too strong. Each onion is different so it’s hard to say, but if you enjoy the onion in general, it definitely adds nice texture and flavor to the dressing. Would you please be able to recommend a healthier oil you could use instead of vegetable/canola oil? Hi Charlotte! 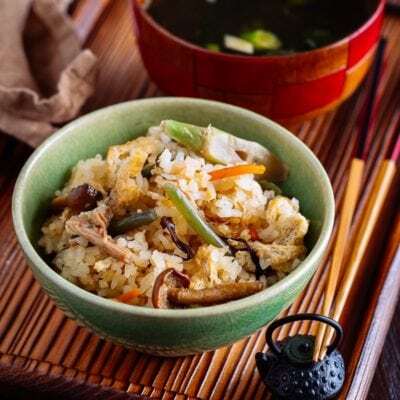 For this recipe, I use canola or vegetable oil, which is common oil to use for Japanese dressing. You can use grape seed oil too, or other neutral flavor oil. Thanks for the salad dressing recipe. Can I sub light olive oil for canola oil? Also if it’s a must, can I use agave nectar instead of sugar? Hi Nic! Yes you can substitute with olive oil and agave nectar if you like. Olive oil has stronger taste than vegetable/canola oil, so please adjust according to your liking. 🙂 Enjoy! I finally made the wafu dressing last night, I tried this morning it was sooo good. The only one thing really brothers me is hard to make grated onion juice. This recipe saves a lot of my money. I spent $7 CA dollar on one small bottle of wafu dressing. Now, I can make as much as I want, and it costs me so little. Could you substitute the rice vinegar for standard vinegar? I love this dressing! How long will it keep in the fridge? love the pictures !! the dressing looks so yummy and it’s so easy to make! Thank you so much for sharing this, it’s delicious and my four year old son, who refuses go eat salad, had FOUR helpings of salad with this dressing. Hi Maria! HAHAHAH “like a rabbit”!!! But I understand what you mean. When I like dressing, I feel like I can eat tons of salad too. Hope you enjoy other recipes from my blog. 🙂 Thank you so much for your feedback! Sorry such a latecomer here. This salad looks wonderful. I’m about to attempt to reproduce it this afternoon for lunch. With all the ingredients you mentioned to put in the salad, it sounds very very hearty and will satiate til dinner without having to snack on stuff. However, I am not familiar with the Wakame Brown Seaweed and what it looks like while purchasing it at my local Asian market. Is it in the cold section? Is it wet or is it dry? Please help. Thanks. Hi Kazy! Oh please don’t feel sorry at all, and I’m so glad you are here! 🙂 It’s in dry food section, in a package like this. If you are shopping in a Japanese / Asian supermarket, it’s near nori seaweed, rice seasoning, all the dried food ingredient area. I’m so happy I found your blog:-)! I’ve been making this salad dressing w/addition of a little sesame oil. The salad (greens & toppings) are julienned & placed over somen noodles. Its refreshing when the temperature outside is just unbearable. Toppings I use are: kamaboku, plain egg omelet, carrots, negi. 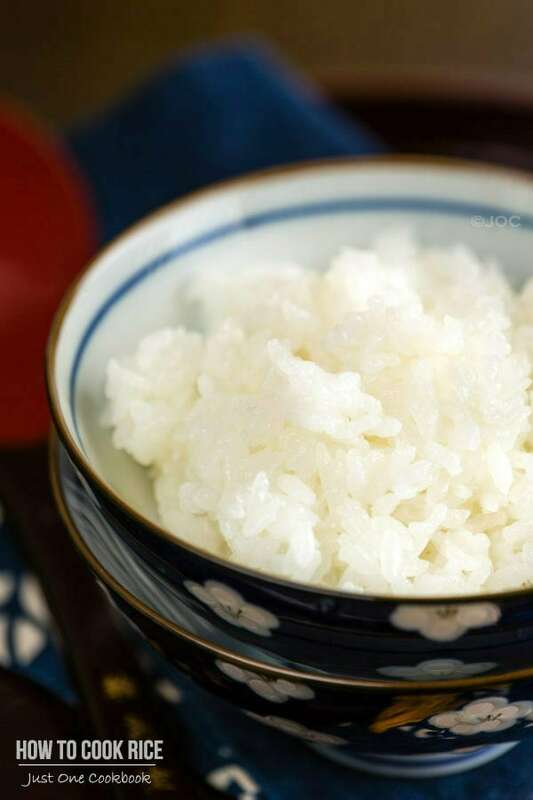 You have made all of my favorite foods-hijiki,agedashi tofu,(although I can eat tofu as is), kimpira& nimono just to mention a few. 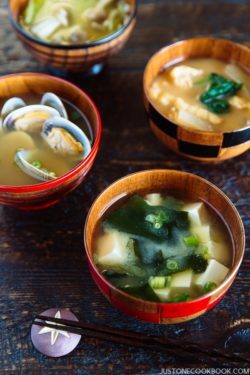 BT W, do you make your own dashi or is it OK to use pre-pkg dashi no moto ? I make my own dashi once in a while depending on dishes I make. I usually use Dashi Packet method and don’t use dashi no moto. 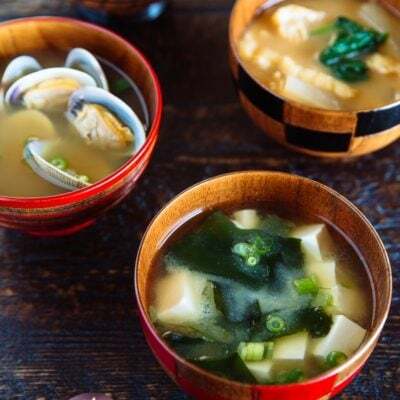 Dashi packet can be hard, but it’s much easier to find dashi no moto. Hi Maria! So happy to hear you enjoyed this dressing! 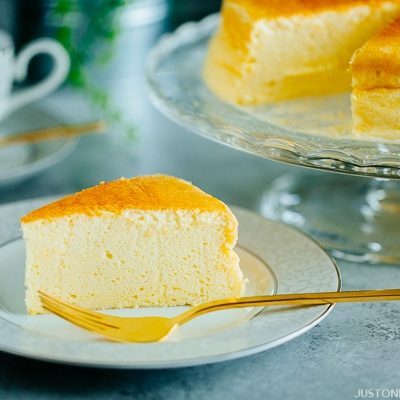 It’s one of my favorite too – very simple and delicious! Glad you liked it too. 🙂 Thank you for writing! I have a stupid question…about the grated onion juice, I should using raw onion or cooked onion? Can I use it as a dip sauce with Grilled vegetable beef roll? I like to add finely minced green onion! I keep trying to remember all the things my mother cooked. Some of your posts help me to remember. Thanks!! I had an excess of overly salty fermented onions so I was looking for a good onion dressing recipe to use them. A slightly edited version of yours was perfect. Several other recipes of yours have been very helpful as well. Thank you for the wonderful work you do. Could another kind of oil be used? Such has canola or grape seed? Hi Lily! I’m glad to hear you enjoyed this recipe, and thanks so much for your kind feedback. Oh I didn’t even notice the “Jump to Recipe” button on your pages! Now I see it! Wonderful! Yeah I saw the print button but when I go to print it doesn’t print. Maybe it’s my old PC and old printer (in Firefox) that has problems. I can print if I copy-paste to word and then print though. Thank you so much! YUM! This is so delicious and simple. My favorite salad dressing now. If you have a chance to try it with avocado oil, you will not regret it! I’ll continue to share more!